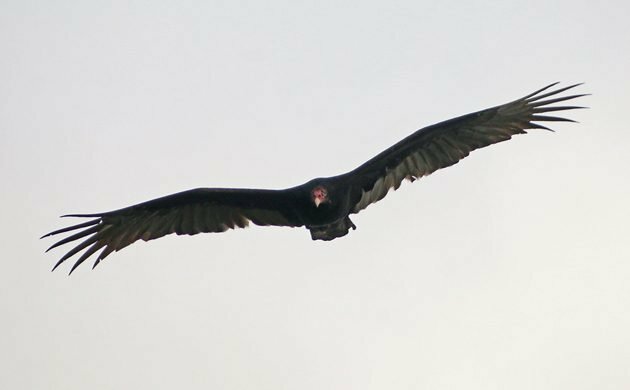 Though I was unable to mount any sustained outdoor activity this weekend, I couldn’t help but notice a few Turkey Vultures tipping and teetering about. Their presence this time of year assures me that snow is still at least a few weeks away! If you’re tracking at home, this marks the second week in a row the humble TV earned BBOTW honors. Corey’s Best Bird of the Weekend would have been the Yellow-billed Cuckoo that popped up in front of him at Kissena Corridor Park on Saturday morning but a rarity in Brooklyn takes the cake instead. A young Purple Gallinule that was found late in the day on Friday lingered through the weekend and Corey took Desi to see it on Saturday afternoon. It was an incredibly easy twitch with the only downer being the bird’s tendency to stay deep in the reeds. So, great looks but no photos. Still, a state bird is always awesome! The Barred Puffbird was the best bird for my weekend in Manabi Province, Ecuador! Little Big Year – Week 36: Southern New Mexico hotspots. Where Are You Birding This Third Weekend of August 2015?